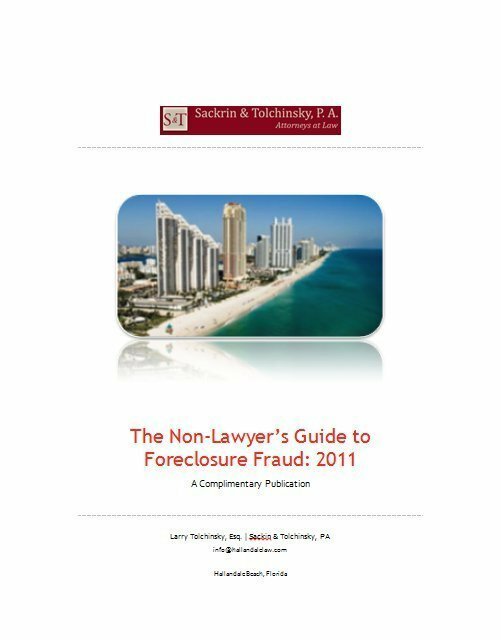 Back in 2010, then Florida Attorney General Bill McCollum instituted investigations into three Florida law firms that were handling lots and lots of foreclosure lawsuits on behalf of their lender clients. The Attorney General officially began looking into “improper documentation” filed by these law firms in Florida court records that “…may have been created and filed with Florida courts to speed up foreclosure processes, potentially without the knowledge or consent of the homeowners involved.” Specifically, the Attorney General’s office was investigating possible bad acts of three law firms, whose names most people now recognize as being connected with the Foreclosure Fraud Crisis here in Florida: The Law Offices of Marshall C. Watson, P.A. 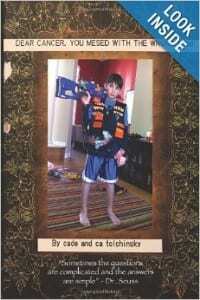 ; Shapiro & Fishman, LLP; and the Law Offices of David J. Stern, P.A. For the Law Offices of Marshall C. Watson, that Attorney General investigation ended up with a settlement between the law firm and the Attorney General, where the foreclosure-filing law firm paid $2 million in settlement investigation into the firm’s operational processes earlier this year. One million dollars went from the accounts of the Law Offices of Marshall C. Watson to the State of Florida, and the other $1,000,000 went to the Florida Bar Foundation to help the group fund its mortgage foreclosure grant program. The Florida Bar Association is an independent organization. The Florida Bar is the organization established by the Supreme Court of Florida to oversee those attorneys practicing law in the State of Florida, and it is a mandatory membership: lawyers must be admitted and in good standing with the Florida Bar in order to practice law in this state. Accordingly, and in adherence to its responsibilities to the Supreme Court of Florida as its ‘investigative and prosecutorial authority in the lawyer regulatory process,” the Florida Bar undertook its own investigation into the activities of the Law Office of Marshall C. Watson and this week it was announced that Marshall C. Watson has entered into an agreement with the Bar to a suspension from the practice of law for 91 days, with the resulting need to obtain approval from the Florida Supreme Court before he can be readmitted to the Florida Bar Association and thereby resume practicing law here in the Sunshine State. He’s made the history books as being the first lawyer to be disciplined publicly for foreclosure-mill type activities. While the consent judgment that the Florida Bar Association and Marshall C. Watson have signed must still be reviewed and approved by the Florida Supreme Court, it is unlikely that the High Court will bounce the agreement back to the negotiation table. Most agree that with this deal, Watson will close his law office (though it is reported to continue doing business under another name without Watson working there as an attorney) and the suspension will take place. Marshall C. Watson is only one of many Florida lawyers that represented mortgage servicers and lenders who were filing lots and lots of foreclosure lawsuits in Florida courts all around the state. 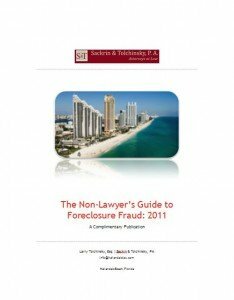 Others who became infamous over the years as Florida attorneys representing banks in the Foreclosure Fraud mess include David Stern. Mr. Watson’s dealings with the Florida Bar won’t be the last we hear of those lawyers who made lots and lots of money representing plaintiffs in Florida foreclosure lawsuits filed against Florida home owners and Florida borrowers who were behind on their mortgages over the past few years. His bad acts, as outlined in the documentation, include a Watson firm attorney being paid $1 for each affidavit reviewed and attested to the reasonableness of fees charged. This firm attorney is said to have made $150,000 on this deal, even though investigations reveal that some of these reviewed affidavits weren’t signed in the presence of a notary and often the lawyer only had the final affidavit page to sign – not the entire document to review. This is a clear-cut example of “robo-signing” — for details, check out our free e-book on ForeclosureFraud and how it happened. What does this mean for those of us who are in the midst of a foreclosure in which the bank is represented by Marshall Watson? Will everything be put on hold until Watson’s brother takes over the practice with its new name? My bank filed for foreclosure in March 2010. The judge tried to push through the foreclosure by the end of 2012, but since I had just retained new counsel, it was continued. I have a lawsuit against the bank in which I am the plaintiff, filed before the foreclosure one, and I would like for this to go to trial before the foreclosure does. Since I am pushing for a trial date on my lawsuit by this Summer, and the judge is itching to get this off the books, hopefully the foreclosure one will go last! Hurray! Check out their Coprorate Filings, updates and ammendments. It is Not Choice Legal-in less than 30 days now listed as ParaCorp, Inc. Atty listed on the filings is LOOM W, P.A ! I cannot find an Atty named Loom at the Florida Bar site either ???????? Watson is/was the attorney on my foreclosure also. In June of 2012 we went to court because they filed a Summary Judgement. Needless to say I Pro Se answered the summons with many accusations of fraud. The day of court my case was taken off the docket by Watson. I have not heard a word from them since. In the time since then I have been contacted that MERS is not my servicer anymore and now SPS is. I get weekly letters from SPS threatening that if I don’t pay or contact them they will foreclose on me. My question is; what if SPS initiates a foreclosure on me while I still have this other foreclosure open with MERS and Watson? Is that legal? Not that the banks do anything legal.